I knitted this guy up just before Christmas using #6 needles and some yarn in my stash. He came out taller than I expected at almost 7 inches, but was worth the effort. My favorite feature is the little feet that allow him to stand on his own. 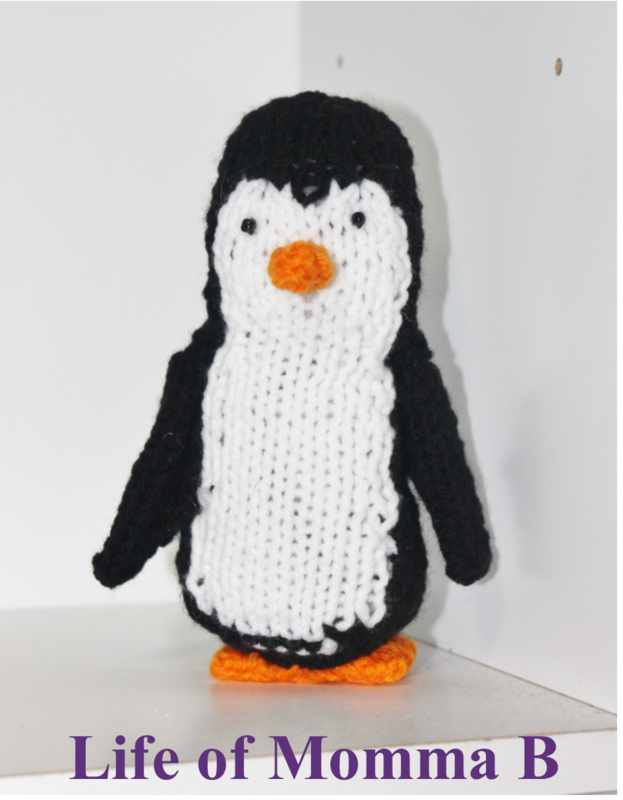 If you would like to knit up a cute penguin, the pattern can be found here. This entry was posted in Knitting and tagged Amigurumi, animal, beads, black, Christmas, color work, free pattern, holiday, orange, penguin, stash buster, toy, white. Bookmark the permalink.